The story of Cocky and his owner Anne Fraser Bon is one of my favourites from the Homefront Exhibition. Bon, as with so many people on the homefront, worried about injured soldiers ability to heal and reintegrate into society after their war experiences. 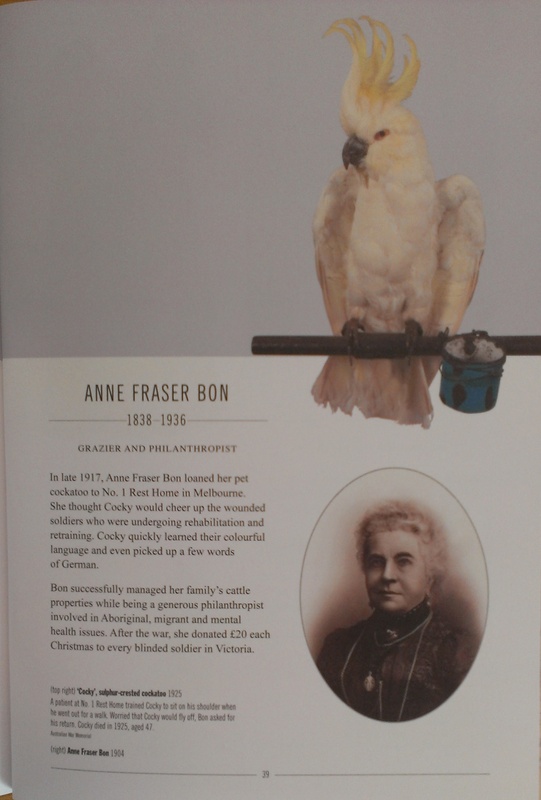 Bon offered her pet cockatoo to assist injured and convalescing soldiers make that transition. Interesting how many contemporary psychological studies now back up Mrs. Bon’s thinking.